Nebula is located at 3407 S. Jefferson Ave. So, last week I went to another holiday party-yay! It was fun for several reasons. One, I got to wear a cute outfit. (Not that I don't always do that, but party-mode brings my style to a new level!) Two, I sipped on spiked holiday punch from the Fortune Teller Bar in a cool color-changing mug. Three, I got to network with a lively bunch of St. Louis artists. The Smilebooth team recommended that we look kinda mean at first and then "explode" in a smile. Fun, right? (Try not to look at it the photo too long, though-it may hypnotize you.) In honor of the party, I opted to wear a skirt that embodies one of my professional and personal passions. 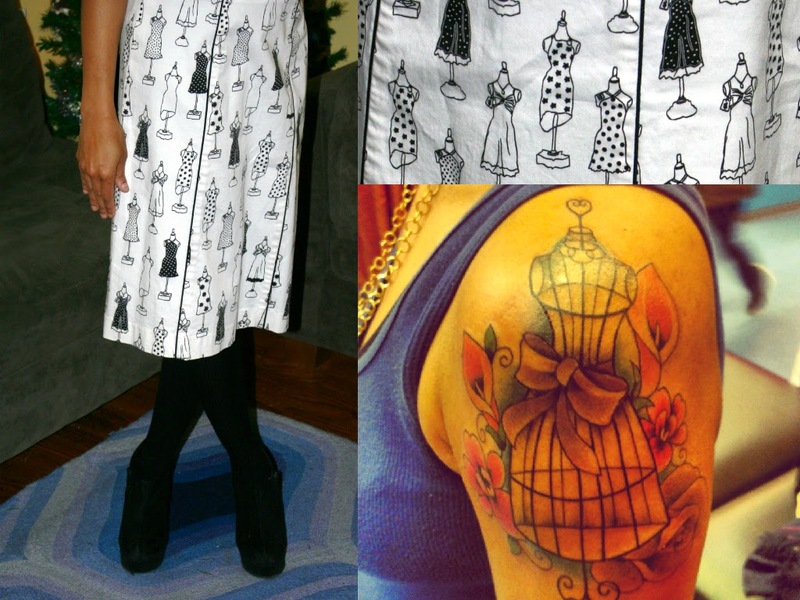 It's not always easy to match your tattoo to your outfit - this skirt had Carmen written all over it! Interested in getting placed for a temporary or permanent job? Connect with Creatives on Call via their web site, Twitter, or Facebook! 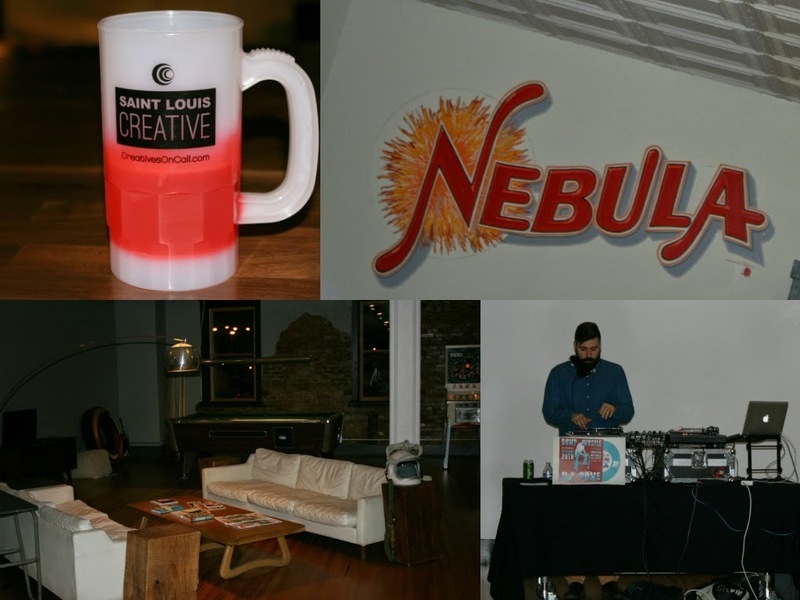 And don't worry if you missed this event - Nebula has monthly happy hours and Creatives on Call has several exciting happenings planned for 2015. Stay tuned!